Aaron asks if we ate pancakes tonight in an effort to live up to the nickname “fat tuesday,” but he doesn’t really care about the answer. Pancakes for dinner? Well, okay. You don’t have to twist anyone’s arm around here. On this day we mark the eve of Lent, when it is traditional for Christians to participate in various practices of self-denial in order to more tangibly appreciate Christ’s ultimate self-denial: death on the cross. Reminiscent of their Jewish ancestors clearing the leaven before passover, Christians developed the habit of eating rich and sweet foods (hence the name “Fat Tuesday”) right before entering Lent, when they would abstain from such things until Easter weekend. Just like we have plenty of meaningful and sometimes silly traditions with our own families, we really enjoyed celebrating this tradition from the family of God and I think we’ll continue doing so in future years! This recipe was adapted from my cousin Natalie, so I always think of her when I make them. They are even, um, a little bit healthier than plain old pancakes. Well… I don’t know what difference these actually make when slathered with Buddy the Elf’s fourth main food group, to be perfectly honest with you. We make these because they are good, not because they make us look good. Mix ingredients to make batter, adding more milk if needed for a runnier consistency. Add chunks of fruit (fresh or frozen) if desired. 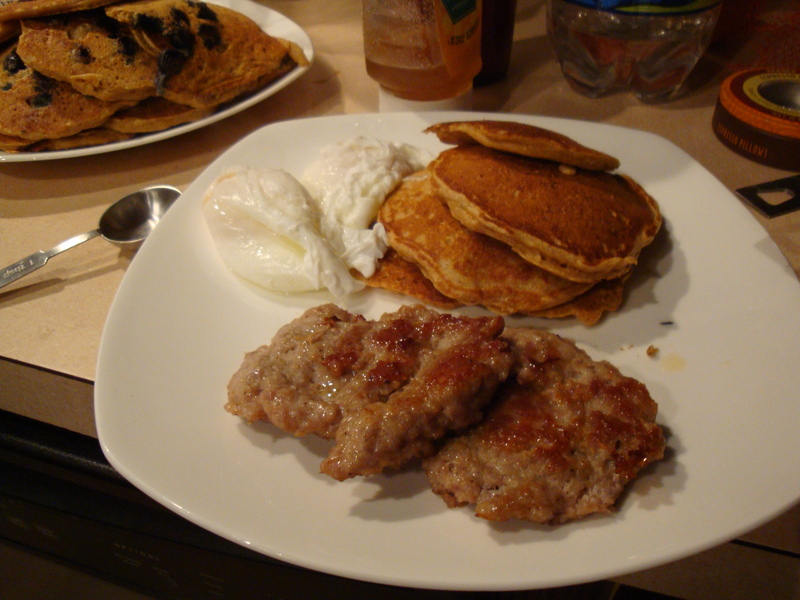 Cook on a hot griddle and enjoy with maple syrup! The pancakes look great! I will have to try that recipe.